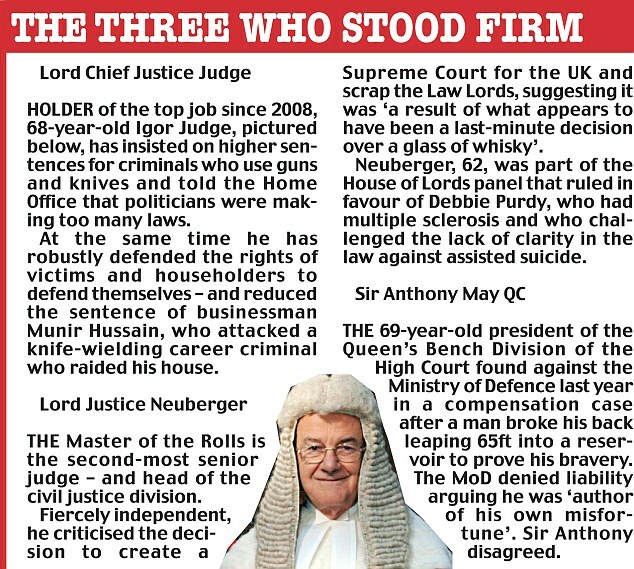 Britain's top three judges plunged MI5 into crisis yesterday by releasing a devastating finding that its officers have a 'dubious record when it comes to human rights and coercive techniques'. 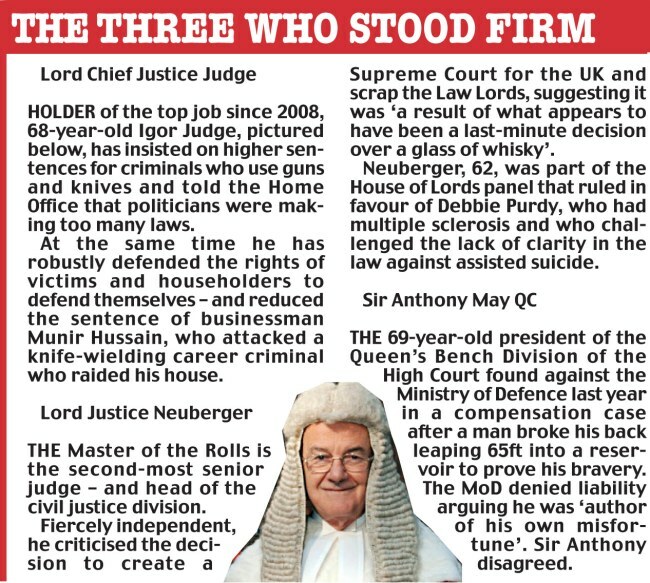 In issuing the judgment by Master of the Rolls Lord Neuberger, the Appeal Court faced down an unprecedented 'bullying' campaign by the Home and Foreign Secretaries demanding that the allegation be withdrawn. Alan Johnson and David Miliband had dismissed as 'ludicrous lies' suggestions that MI5 had a 'culture of suppression' over torture. Two weeks ago, they persuaded the Appeal Court to change a contentious draft paragraph written by Lord Neuberger which made that allegation in relation to the treatment of ex-Guantanamo Bay detainee Binyam Mohamed. But yesterday, despite overwhelming pressure from Whitehall and MI5, the judges decided to release in full the original paragraph, known as 168. Lord Neuberger's blistering statement said denials by the security service of knowing about any ill-treatment of U.S. terror suspect detainees 'does not seem to have been true' in Mr Mohamed's case. The judge said that, as a result, there were good reasons for 'distrusting' statements made on torture by Mr Miliband. MPs said the case for a full inquiry into the torture allegations against the security services was now overwhelming. A total of 25 terror suspects have complained of ill-treatment, illegal detention or torture which they allege was condoned by British agencies. The Liberal Democrats accused Mr Miliband of having had the 'wool pulled over his eyes' by MI5 - which had assured him it did not know Mr Mohamed had been ill-treated. 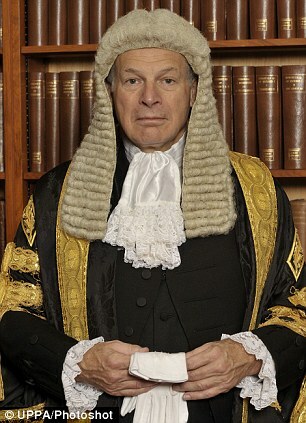 Mr Johnson remained defiant and rejected Lord Neuberger's findings. In a statement which heightened tensions between Whitehall and the judiciary, the Home Secretary said: 'I am deeply disappointed that the court has decided to criticise the security service in this way. In a sign of the deep alarm within the Government, Gordon Brown said he had spoken to MI5 chief Jonathan Evans to 'repeat my gratitude for the work the security service does to protect the British people'. He also promised shortly to publish the latest Government guidelines on how detainees should be treated. Mr Mohamed says he was tortured in Pakistan in 2002 while held by the U.S., with the knowledge of MI5. 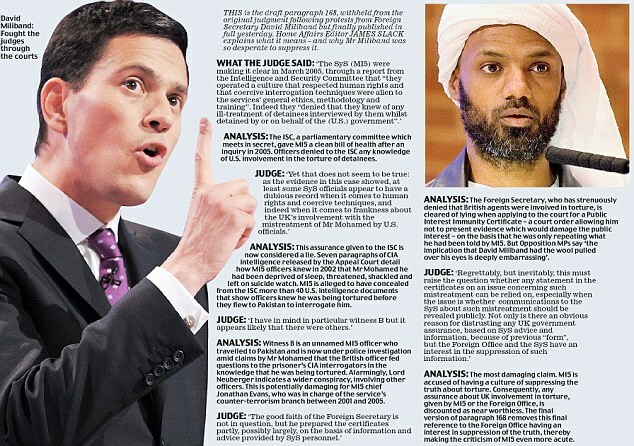 Last year David Miliband asked the Court of Appeal to block a High Court decision to publish a seven-paragraph summary of what MI5 knew about his ill-treatment. The summary showed that MI5 was aware Mr Mohamed was being continuously deprived of sleep, threatened with rendition and being subjected to 'significant mental stress and suffering'. A dispute then erupted between the Government and the court over paragraph 168 in a draft version of Lord Neuberger's judgment. Jonathan Sumption QC, representing the Foreign Secretary, said 168 went 'well beyond' anything found by the High Court judges. As a result the judge altered the paragraph, leading to accusations that he was 'watering down' his ruling, and said he would further reconsider it. But a summary of what the paragraph said, written by Mr Sumption, was leaked to the Press. It said MI5 was being accused of having a culture of suppression in relation to torture allegations, and of misleading Parliament. Mr Johnson, Mr Miliband and the Labour chairman of Parliament's Intelligence and Security Committee then launched an unprecedented assault on the judiciary designed to prevent the paragraph ever being released in full. Even the head of MI5, Jonathan Evans, made a rare public intervention to say the idea that the service had a culture of suppression could not be further from the truth. It was despite this onslaught that the Appeal Court released the paragraph yesterday, putting Britain's most senior judges in open conflict with MI5, the Foreign Office and Home Office. Lord Neuberger also published a new paragraph 168, which took account of some of Mr Miliband's complaints - namely that his criticism of MI5 had stretched beyond the case of Mr Mohamed. However the modifications were very limited, and the judge said the paragraph's findings were 'fully supported' by the evidence. Former shadow home secretary David Davis praised the judges for standing up to Government 'bullying' but said the case for a judicial inquiry 'is now unanswerable'.